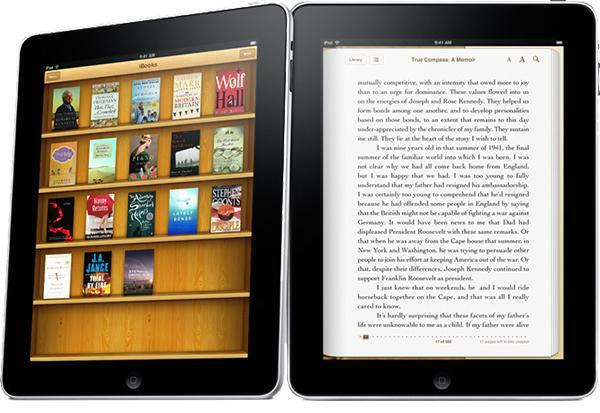 Judge Denise Cote of the U.S. District Court for the Southern District of New York handed down the latest decision in her oversight of the Apple e-books case, granting class status to consumers looking to sue Apple for damages relating to the company's illegal e-book pricing, reports Reuters. In her ruling, Judge Cote denied Apple's argument that claimed plaintiffs' claims were too diverse for the group to be considered for class status. Apple additionally contended consumers were not harmed because e-book pricing fell during and after the iBookstore launched, a claim the company pushed in its antitrust case against the U.S. Department of Justice. The outcome may not be surprising considering Judge Cote presided over the DOJ's case as well. The jurist's ruling in that action found Apple liable of conspiring with five major book publishers to falsely inflate e-book prices. That decision brought an injunction against Apple, demanding it not enter similar offending agreements with publishers, as well as the installment of antitrust monitor Michael Bromwich. Apple and Bromwich have butted heads from the beginning. The Cupertino, Calif., company accused the ECM of conducting a wide-roving and unconstitutional investigation that goes far beyond his court-constructed jurisdiction. Bromwich, on the other hand, said Apple is difficult to work with as it does not supply requested evidence, interviews and other deemed necessary assets in a timely manner, or at all. Apple has attempted to dislodge Bromwich from his post, though efforts have been fruitless thus far. Judge Cote is slated to oversee both the consumer class action suit ruled on today and another involving 33 states and U.S. territories that sued Apple on behalf of consumers. A damages number has yet to be assigned to the consumer class action, though some expect it to run into the hundreds of millions of dollars. As for the states, they are seeking more than $800 million in damages.